Health insurer Anthem is launching its in-house pharmacy benefit manager IngenioRx nine months earlier than planned in the second quarter of 2019. Anthem said Wednesday that it will exercise its right to terminate its current PBM contract with Express Scripts on March 1 before it expires at the end of the year, due to Cigna Corp.'s acquisition of Express Scripts late last year. It will then begin transitioning its plan members to the new PBM over 12 months. "Since announcing our intent to create IngenioRx, we have been carefully planning the transition, including the possibility of an early launch, and are confident in our ability to execute the transition under the accelerated schedule," Anthem President and CEO Gail Boudreaux said in a statement. "This will allow us to go to market with better economics earlier and also accelerate our whole person health strategy, which is proven to reduce total cost of care." 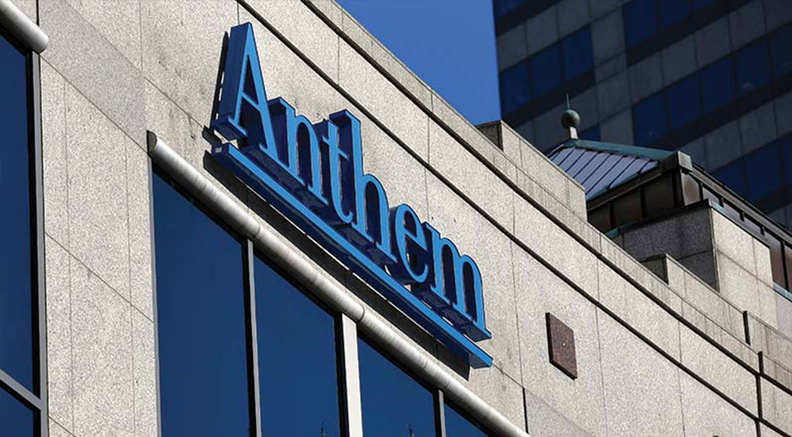 Anthem first announced it would launch its own PBM in collaboration with CVS Health in 2017. The announcement came amid a bitter feud with Express Scripts in which Anthem claimed the pharmacy benefit manager withheld billions in savings and overcharged Anthem $3 billion annually for its services. Anthem sued the PBM for $15 billion last year. "IngenioRx will improve our ability to integrate pharmacy benefits within our already strong medical and specialty platform, driving greater value for the consumer and increasing transparency," Boudreaux said during a conference call with investment analysts Wednesday morning. She added that Anthem and CVS have completed 15 months of intense preparation for the transition to the new PBM, "giving us confidence in our readiness to launch." Boudreaux also said Anthem intends to speed up investments in artificial intelligence, digital capabilities, clinical integration and provider collaboration. In particular, she touted the blockchain collaboration between Anthem, IBM, PNC Bank and other payers announced last week, which is meant to improve interoperability and data-sharing across the healthcare industry. "We view blockchain as an enabler for establishing trust," she said. "Timely access to medical information has been a stumbling block for creating a seamless consumer experience. With a trusted foundation based on transparency and cryptography we will provide a faster, safer and more secure way to exchange medical information to transform the delivery of healthcare." Anthem also reported its fourth-quarter and full-year 2018 financial results on Wednesday. The Indianapolis-based insurer grew revenue to $23.4 billion in the fourth quarter of 2018, an increase of 3% over the same period a year ago, reflecting premium increases to cover higher medical costs and the return of the health insurer tax. The higher revenue was also driven by membership growth in Anthem's Medicare business. Anthem's Medicare Advantage membership hit 1 million as of Dec. 31, up 34.9% over 2017. Combined with Medicare supplement, Anthem served a total 1.9 million members, an increase of 18% over the previous year. The insurer said it had a strong Medicare open-enrollment period, and expects to end 2019 serving 250,000 to 300,000 additional Medicare members. Operating revenue in the government business, which includes both Medicare and Medicaid, was up 16.2% over the fourth quarter of 2017 to $14.5 billion. That helped offset lower revenue and membership in its individual and local employer businesses, which led its total membership to slip by 361,000 members to 39.9 million. Operating revenue from Anthem's commercial and specialty business fell by 11.6% to $8.8 billion in the fourth quarter. Meanwhile, Anthem did a better job at controlling medical costs, which helped lower its medical loss ratio to 86.8% in the fourth quarter of 2018 from 88.6% at the same time the year before. The ratio is a figure that reflects the amount of premiums spent on medical claims and quality improvement activities. Anthem's net income was $424 million in the fourth quarter, down 65.6% from a year ago. For the full year, Anthem's revenue totaled $92.1 billion, up 2.3% year over year, while its net income slipped by 2.4% to $3.8 billion.